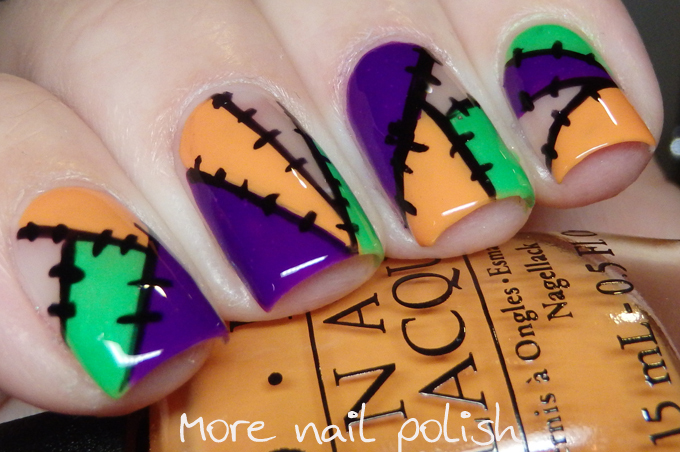 Around this time last year was when I shared the last mani I created for the 26 Great Nail Art Ideas Challenge. Then I had my motorcycle accident and didn't end up rejoining the challenge again. This year I'm back in, and we have only just started. 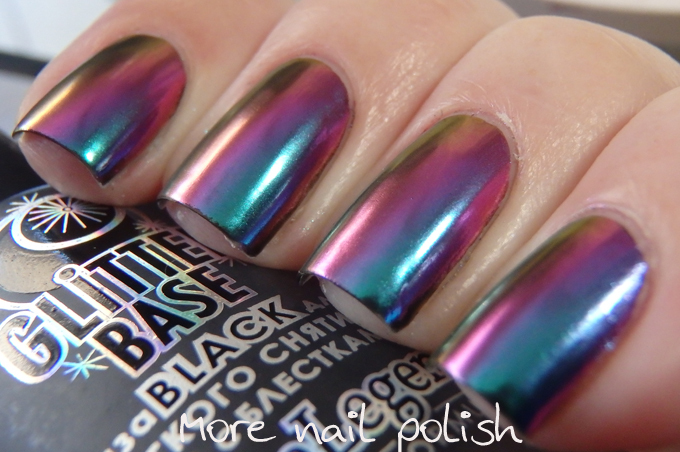 If you like to paint nail art and want to join in the challenge, then please come join the facebook group to get all the details. All nail artists are welcome to participate and the rules aren't too strict, it's ok to miss weeks if you are too busy and we only post one mani every two weeks. 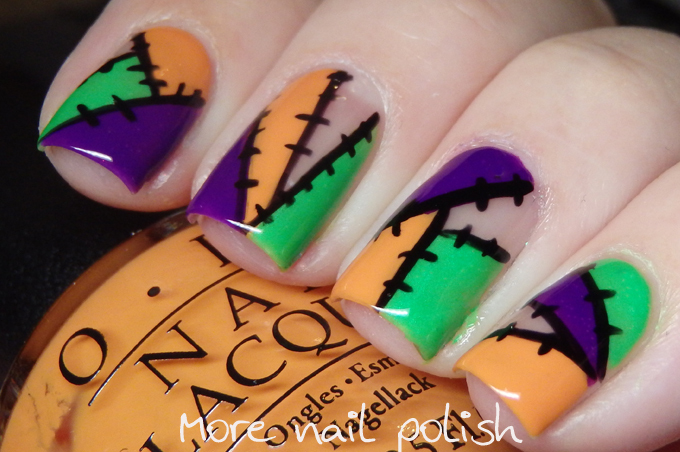 The prompt is Halloween with negative space. 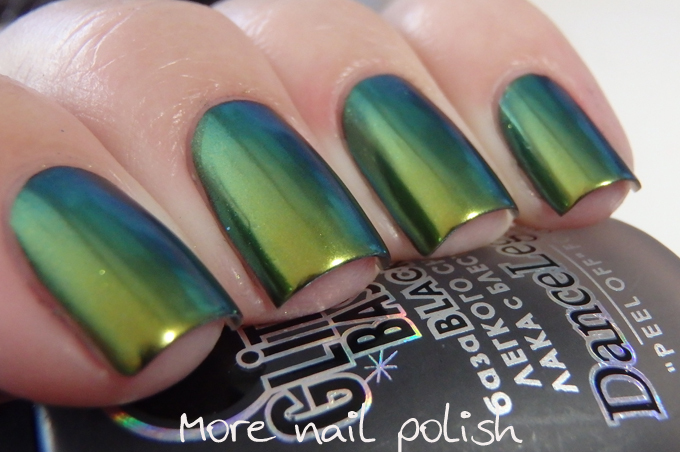 Negative space can be tricky, especially if you have stained nails, which is why you will usually find that I do the negative part towards the back part of my nail. 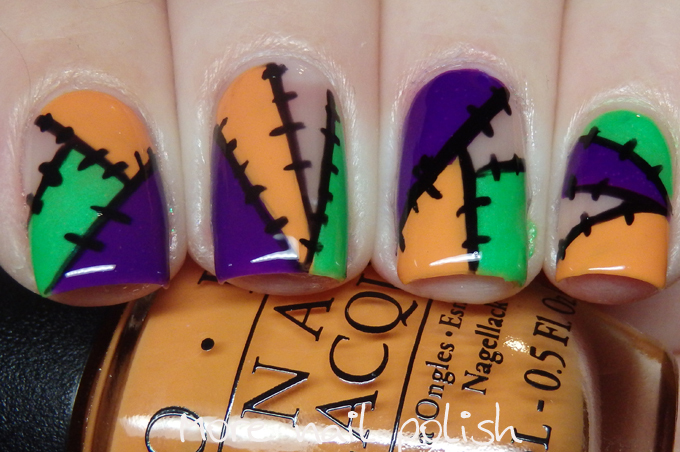 I just free hand painted on random shapes using the three classic Halloween shades of green, purple and orange. I then just painted the black like to make the patchwork appearance. 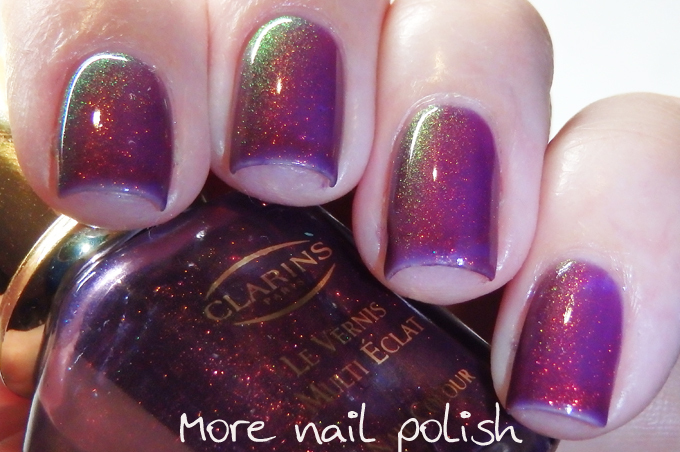 I have another special polish today, the most sort after original Unicorn Pee, Clarins 230. 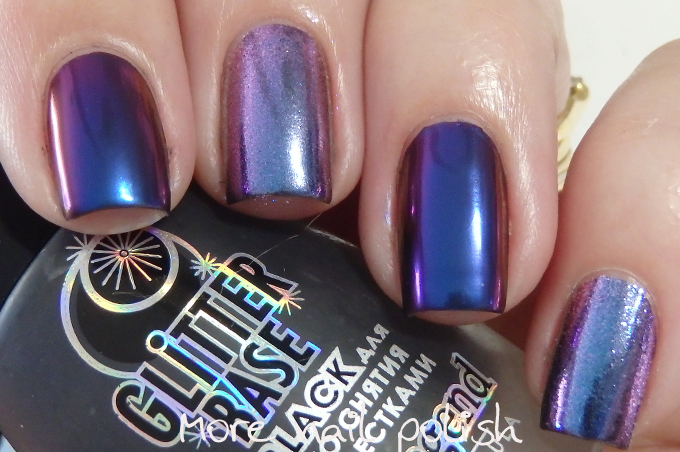 Very similar pigments to the original unicorn pee pigment are now available in lots of indie brands, so this polish has been well and truly covered as far as attempted dupes. 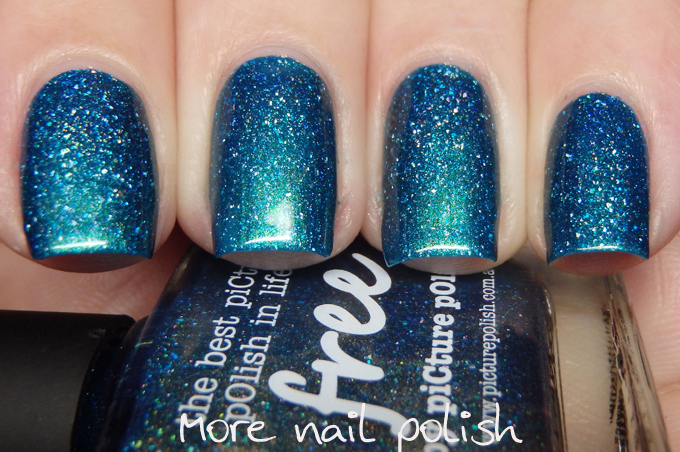 But just like I said the other day, there is something special about owning the actual original of one of the HTF polishes, rather than the dupe. I've already worn this and shown it on my blog a few times, but I've actually never worn this on it's own, without layering. So that's what I did this time. You're going to need patience to wear this alone, cause it takes a lot of coats. 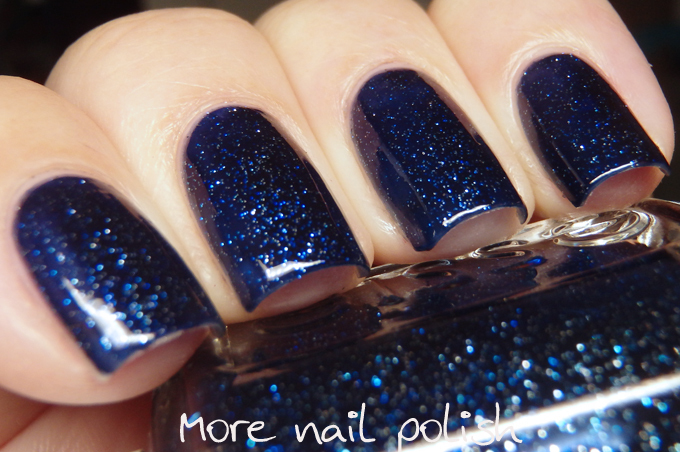 And cause it takes a lot of coats, you're going to want to do thin coats so you don't start a polish mountain. 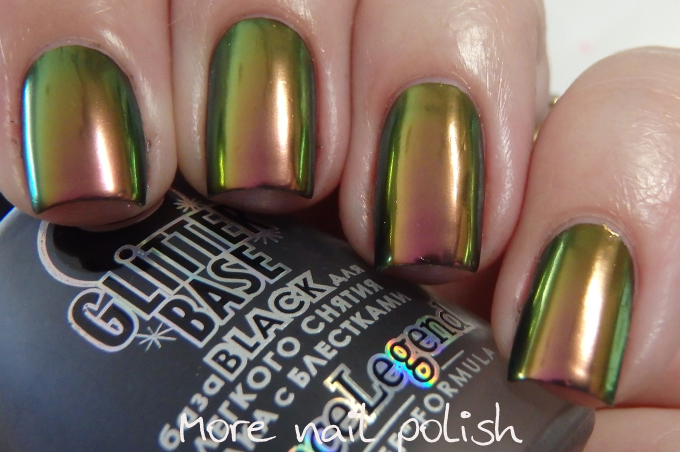 I ended up doing 5 coats for this mani, followed by a single layer of top coat. 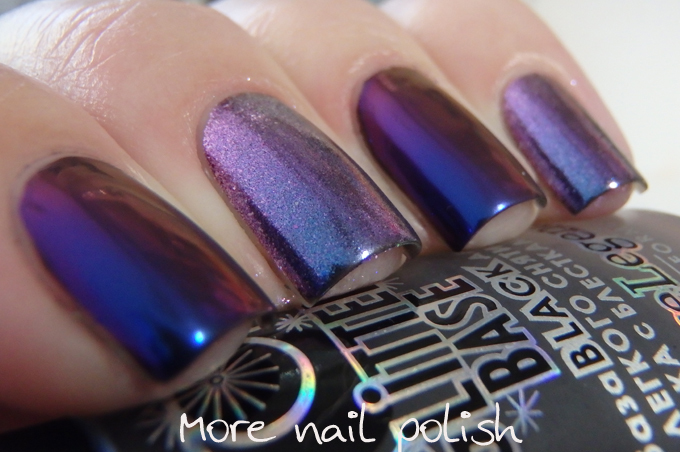 Whilst there might not be much tint in the base, there is a heap of the unicorn pee pigment, which means at five layers the depth of sparkle is just amazing. I took about 100 photos in various lighting conditions, and here are the best of them. 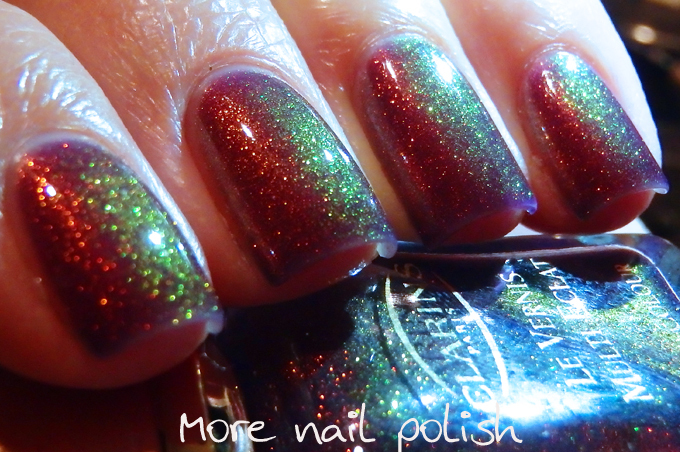 It's so damn hard to capture both the green and red sparkle in the same photo. You know when you get a text message from someone, and you read it, and then you forget about. And I mean forget about it for several days or a a week. Then when you remember it's all weird and awkward about whether it's too late to reply. 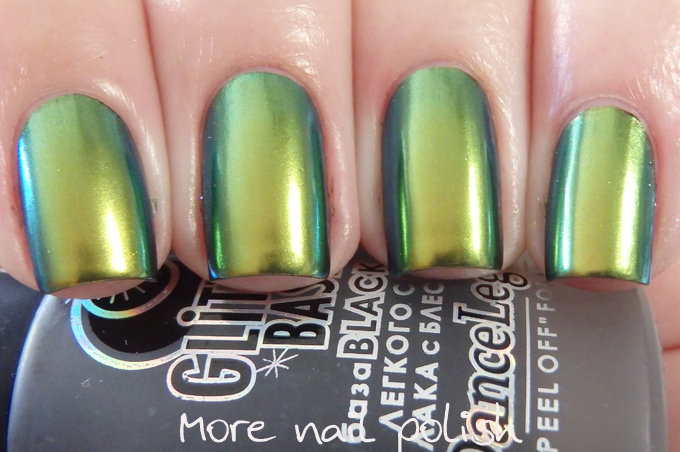 That's kind of how I feel about these swatch photos. 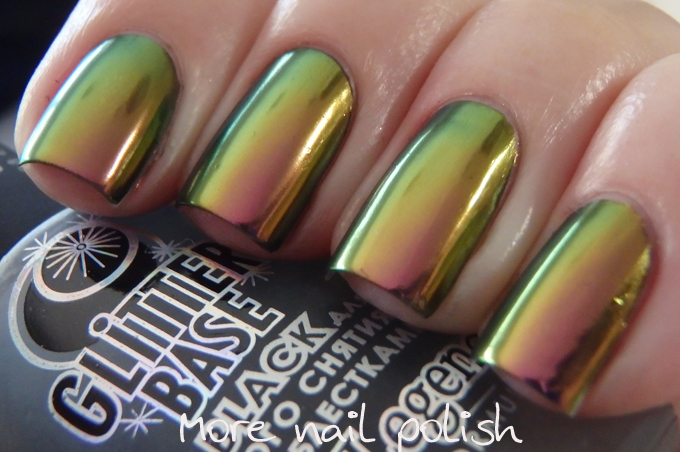 These swatch photos were again done last year. All just before I had my motorcycle accident. Which totally messed up my entire blogging schedule. I've seriously got to get on top of my draft blog posts. 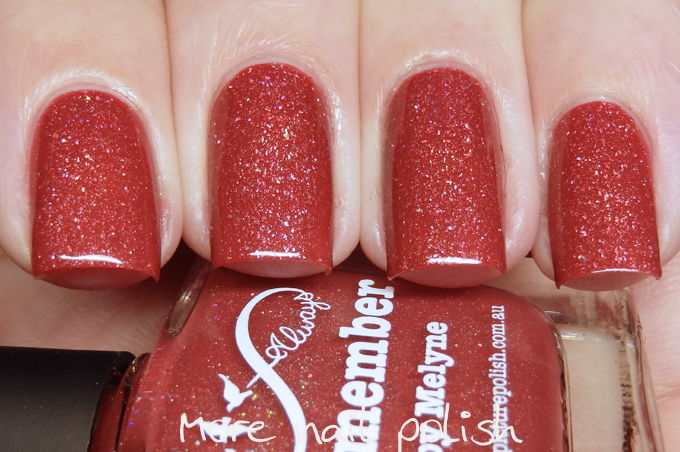 I currently have 18, and that's after I merged all these Picture Polish swatches into one post. 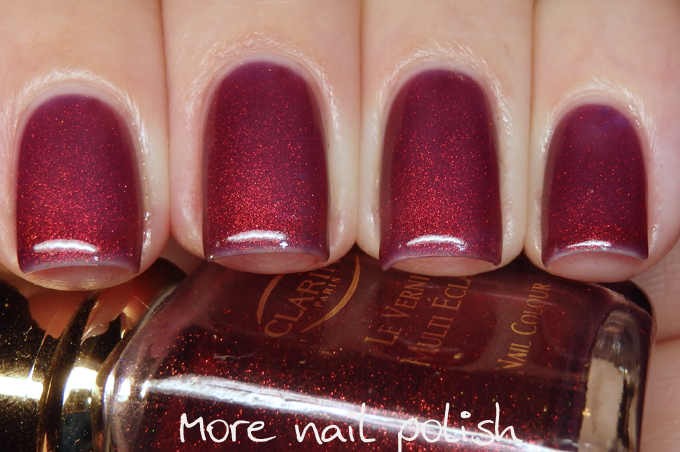 So I'm just going to jump straight into swatches, cause these polishes have all be around for ages now. There are already plenty of swatches out there, but here are mine. 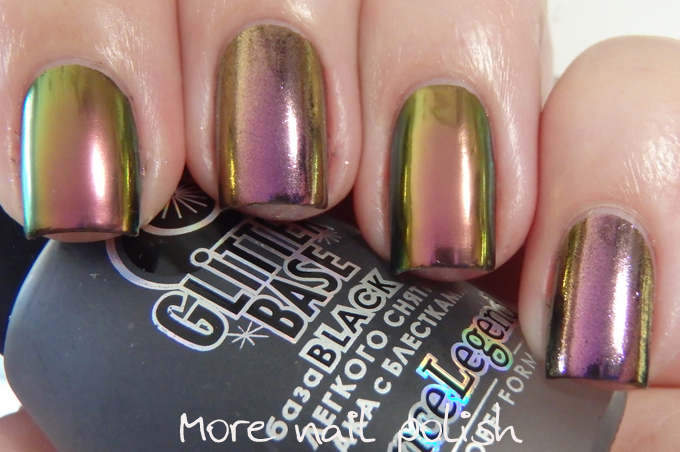 Merge - 2 coats with seche vite top coat shown in full sunlight. 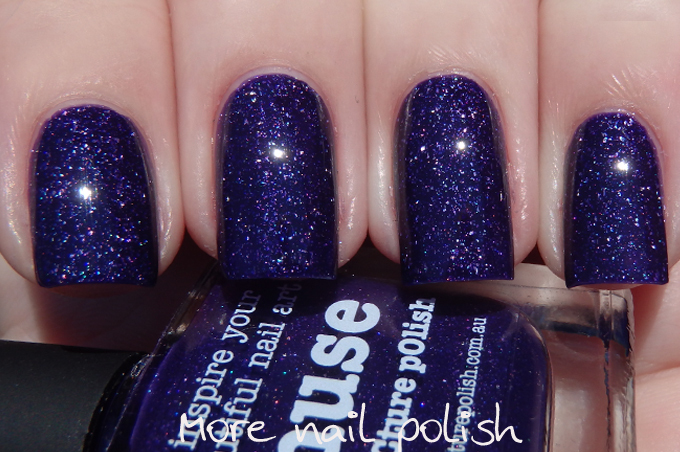 Muse - 2 coats with seche vite top coat shown in full sunlight. 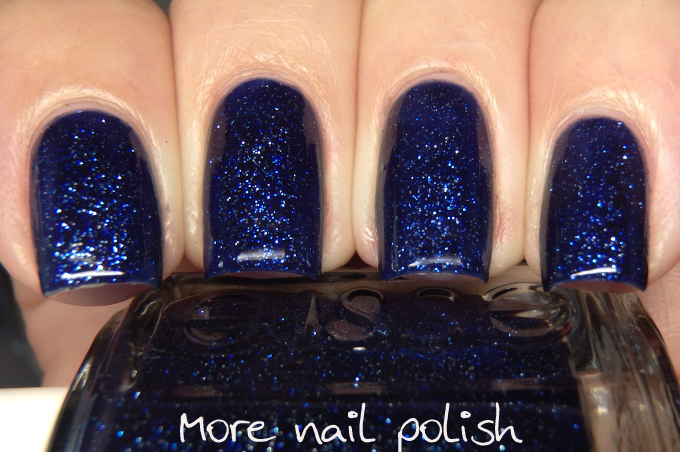 Posey - 2 coats with seche vite top coat shown in full sunlight. 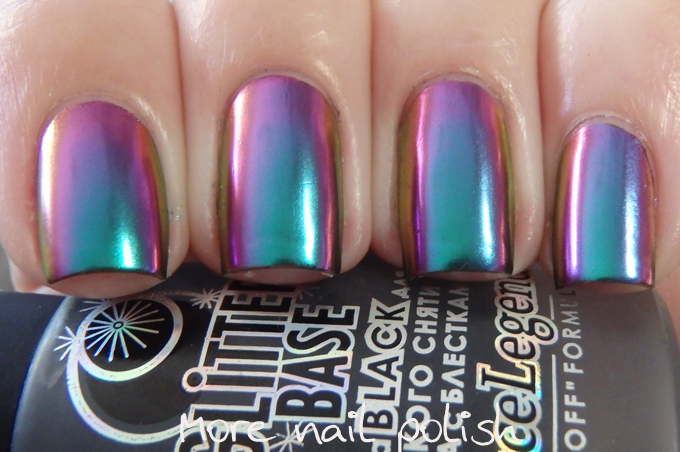 Summer - 2 coats with seche vite top coat shown in full sunlight. 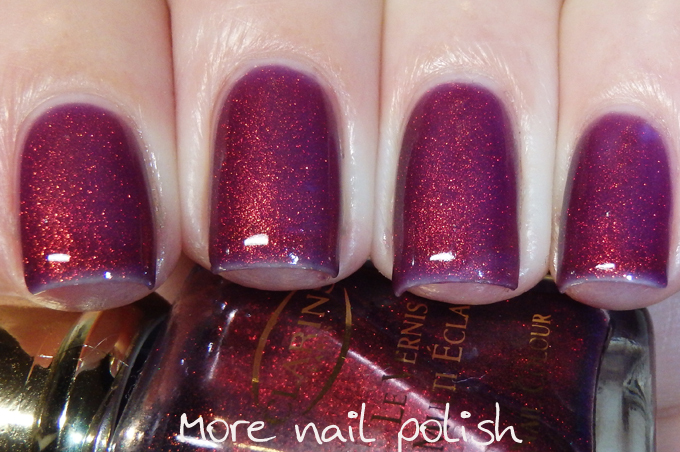 Winter - 2 coats with seche vite top coat shown in full sunlight. 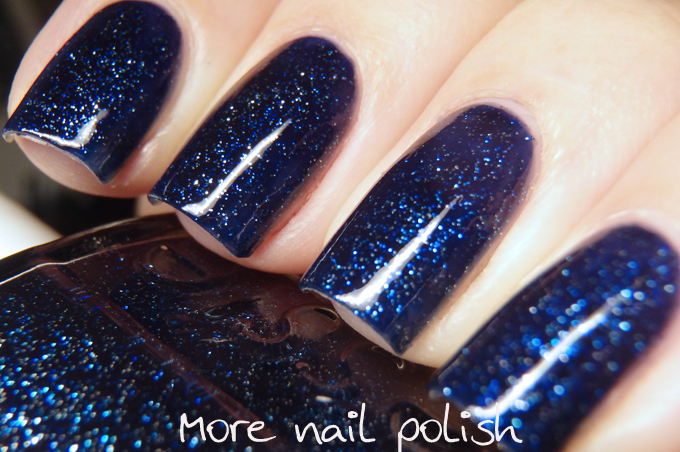 Alice - 2 coats with seche vite top coat shown in full sunlight. 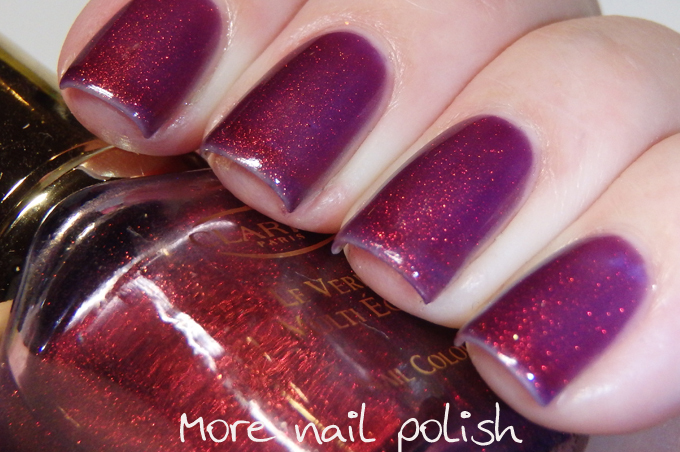 Free - 2 coats with seche vite top coat shown under a lamp. 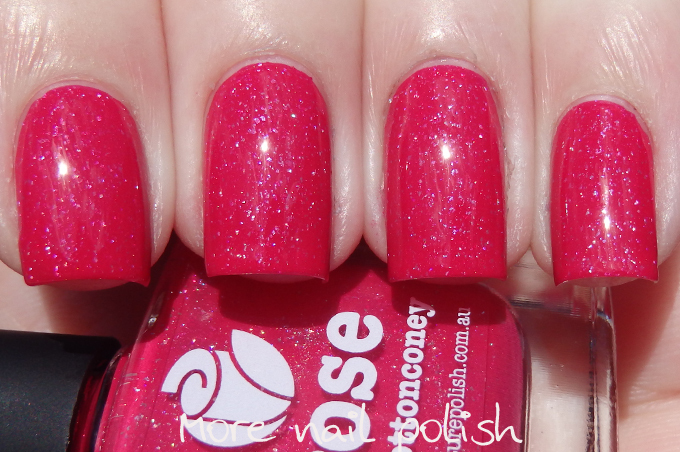 Rose - 2 coats with seche vite top coat shown in full sunlight. 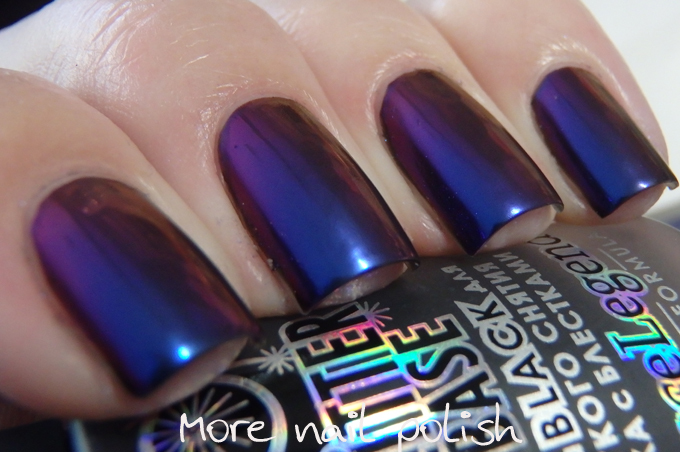 Sisters - 2 coats with seche vite top coat shown in full sunlight. 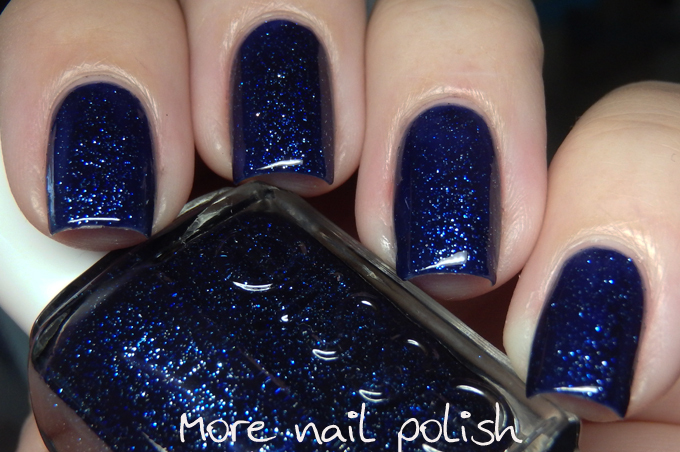 Soul - 2 coats with seche vite top coat shown under a lamp. 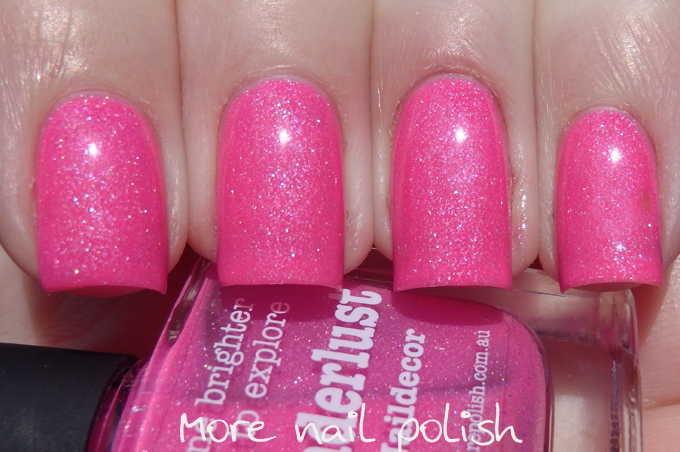 Wunderlust - 2 coats with seche vite top coat shown in full sunlight. Maybe now I can update my Picture Polish colour guide a bit, argh, but that means coding some stuff up and I just can't be bothered at the moment. 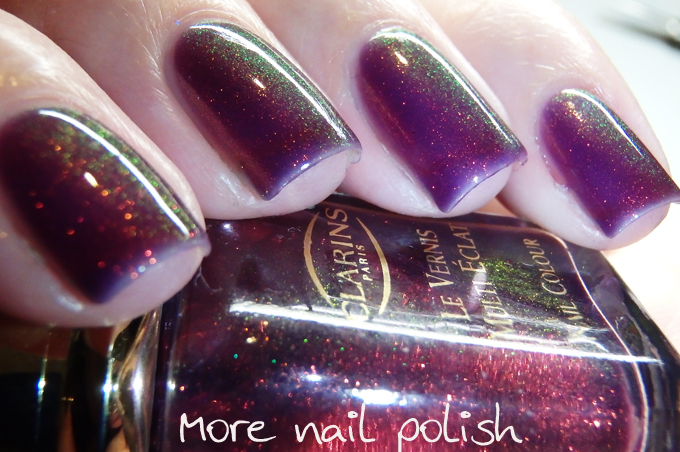 The Polish Chrome Wars Part 10 - Are all multichrome powders the same? 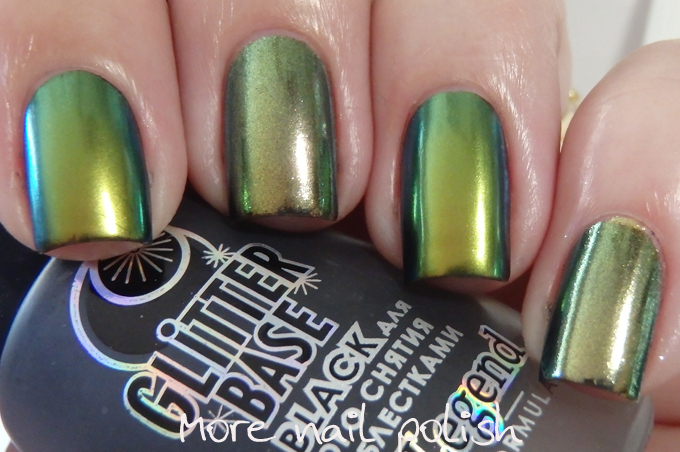 To say it's been a while since I last did a post in my series about chrome powders would be a serious understatement. In fact, I don't think I could I have sat on this post for much longer! I reckon I've had these photos edited and this post sitting here waiting to be written up for more than a year! But at least these are things I bought myself, and not products sent for review. Then I'd be in real trouble! 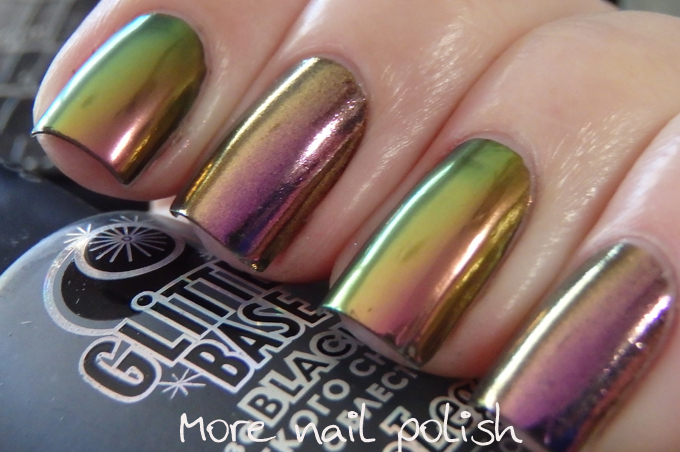 In August last year I shared my swatches of the chrome pigments available at the time from Born Pretty. 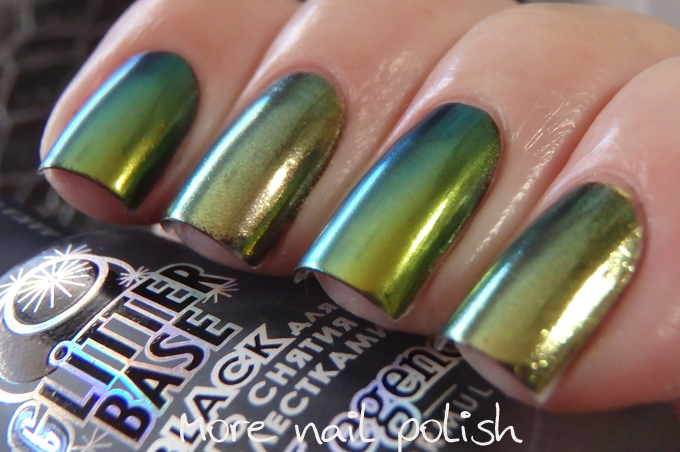 Of course a year has gone by now, and they have added to their range since then, but back when I did these photos these were the only powders you could get from the BP store. 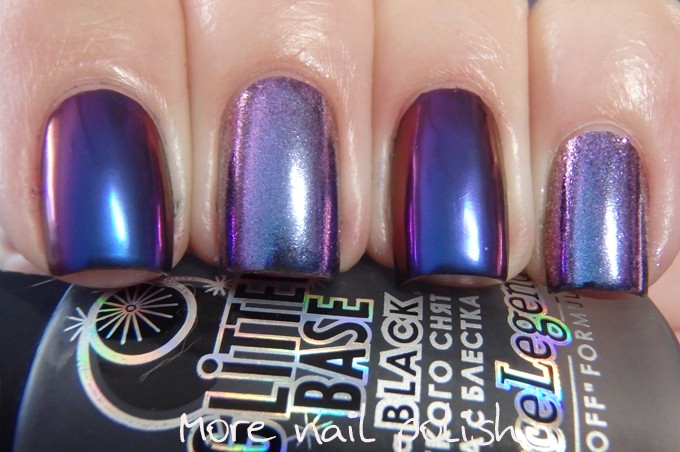 So I may as well show you the comparison of the iridescent type chrome powders (the ones that are white crystallized looking powders) compared to the coloured multi chrome powders. 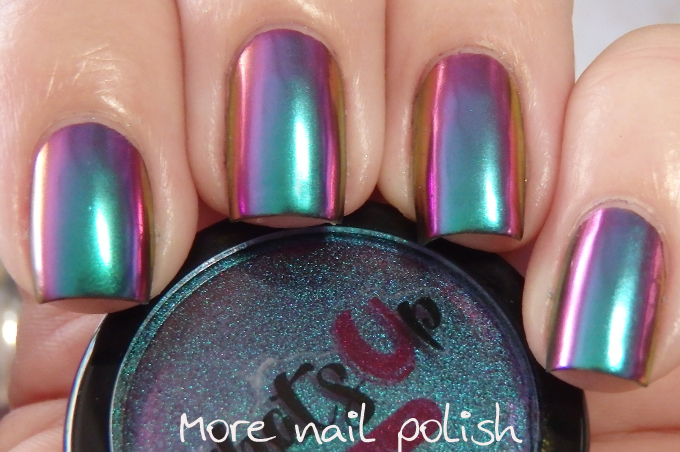 The multichrome powders I have here are the ones from What's Up nails. 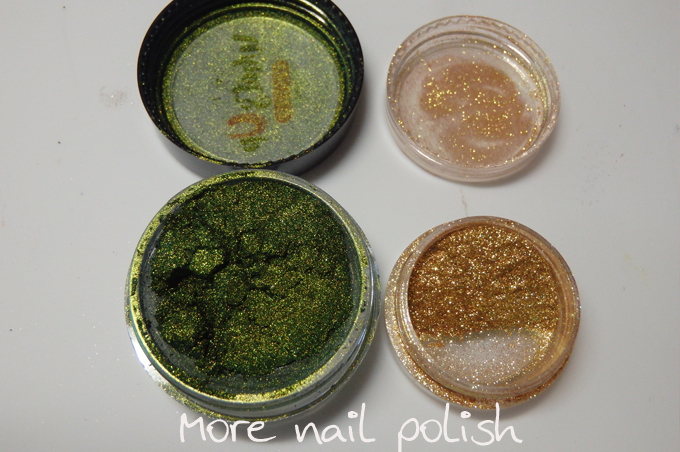 I've since got the similar powders from Born Pretty Store so I will be able to compare them, but I think I'll make you all wait a year for that! Haha. 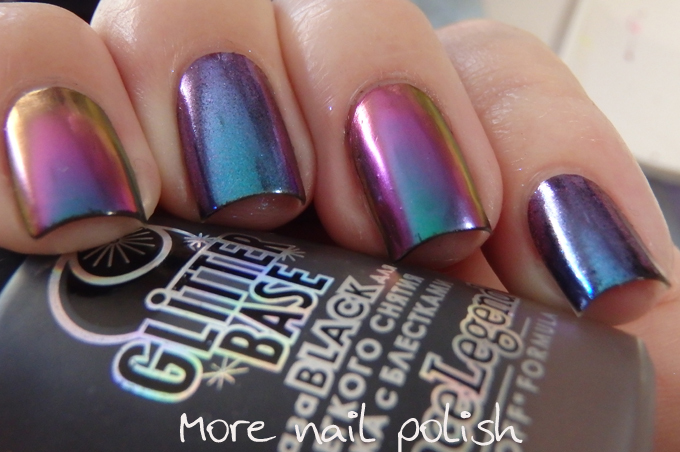 All my swatches of the powders are applied over a black base of Dance Legend Black glitter base. 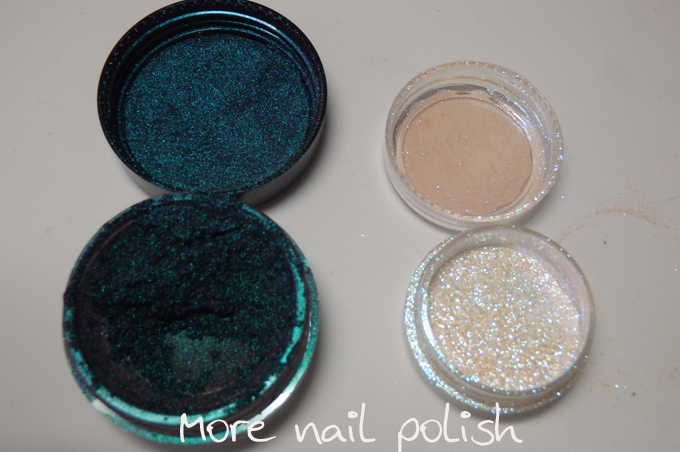 Here is a photo of the two types of chrome powders, even those these two end up looking similar on the nail, they look completely different in the jar. 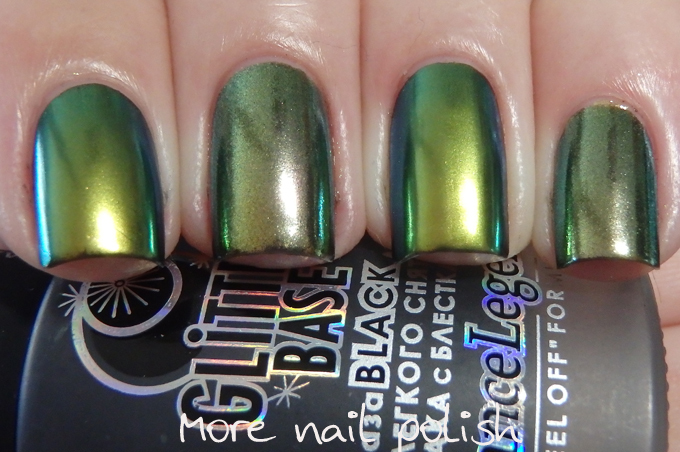 The first one is Absinthe from What's up nails. 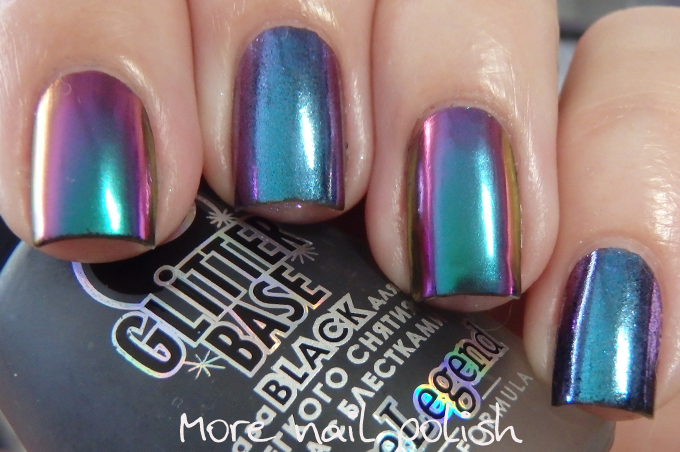 Here is the comparison the the similar shade in the iridescent multichrome powder range from the Born Pretty Store #585. 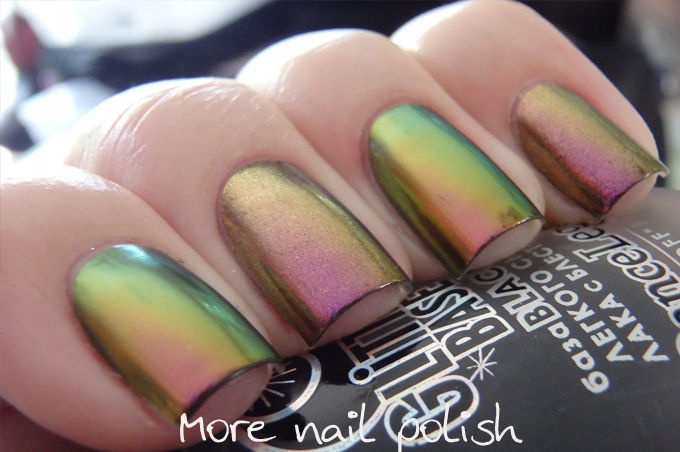 The Born Pretty one is actually sparklier, but the finish isn't as smooth and the multichrome shift nowhere near as strong. 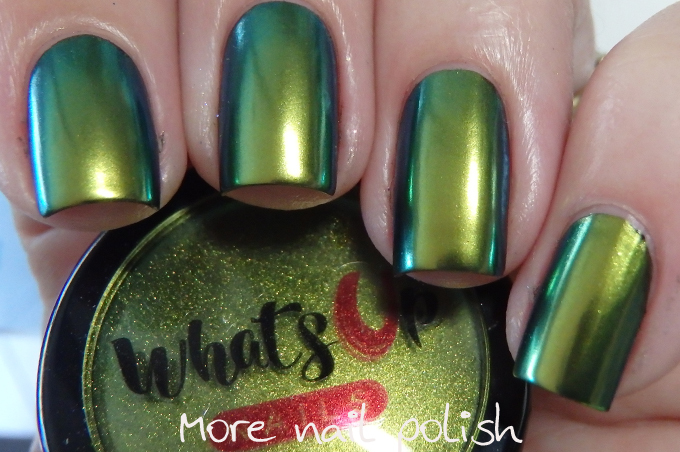 Next up is Dragon from What's up nails. 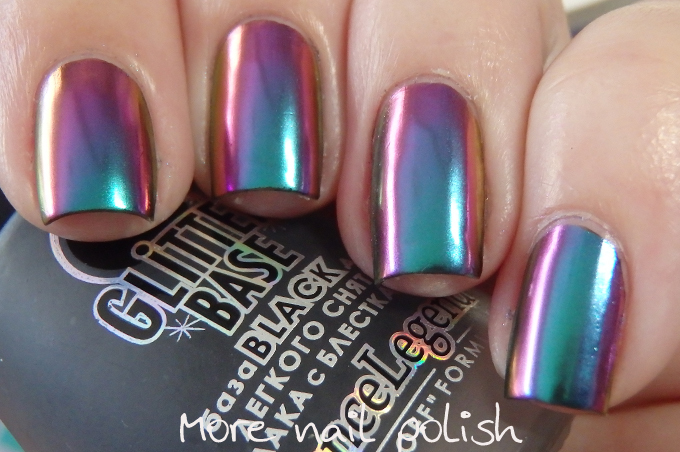 Amazing color shift on this one. 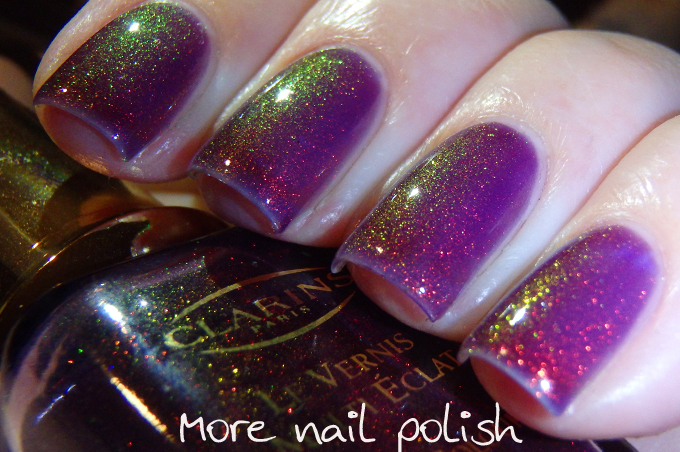 The next three shots show the comparison with Born Pretty iridescent multichrome powder #681. 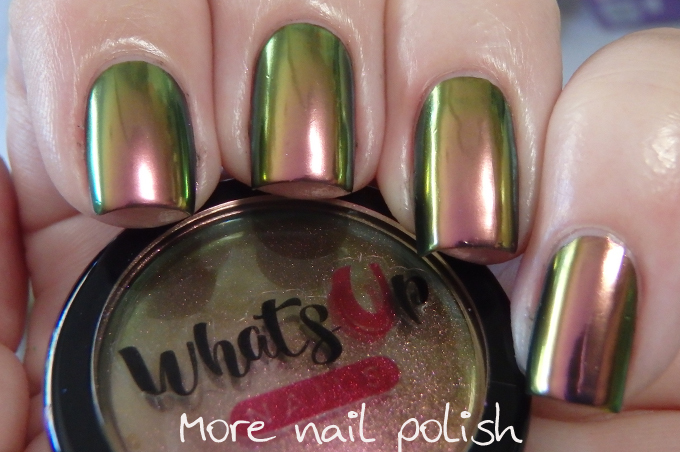 Here is Paradise from What's up nails. 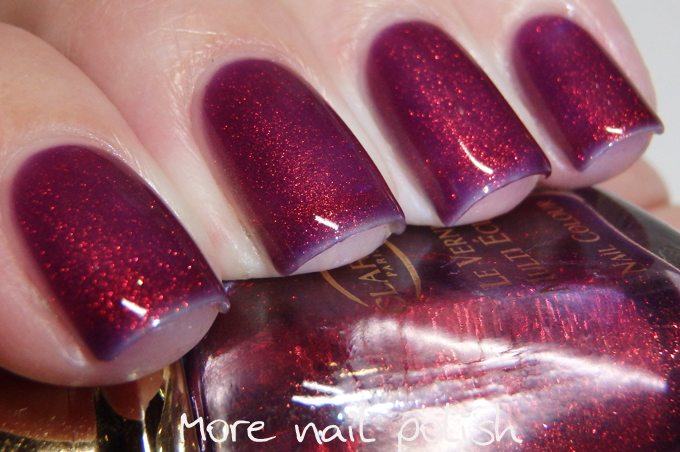 Born Pretty #587 is very similar in colour and shift, but again the finish isn't as smooth and its sparklier and more metallic looking. 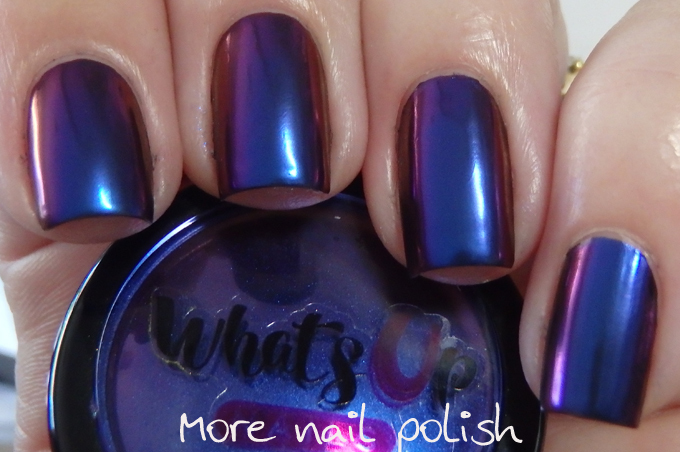 Finally, here is Royality from What's Up Nails. 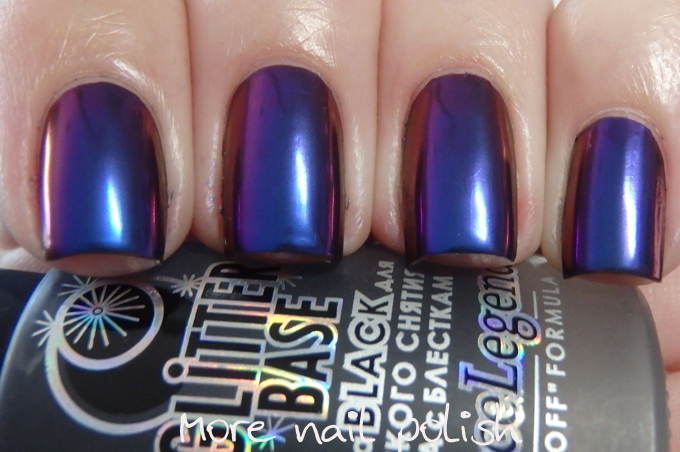 There isn't really a colour that matches the intensity of this one in the Born Pretty iridescent multichrome range, but #583 is probably the closest. 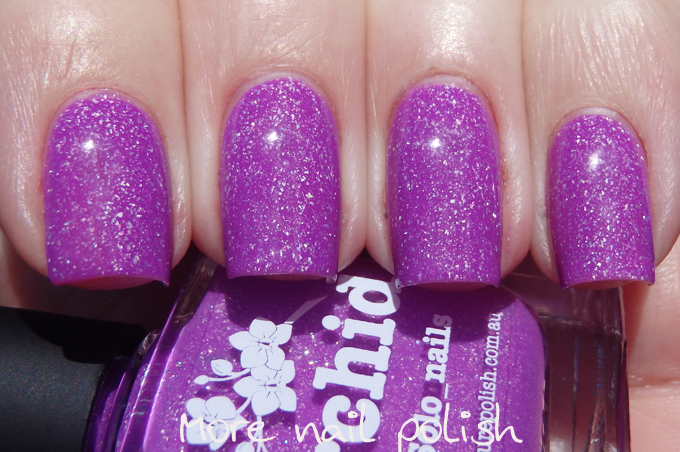 For $1.99 a pot, the Born Pretty ones really hold their own, especially when not compared to the expensive brands of powders. But are they the same - No! It will be interesting when I compare the BP Chameleon Powders and What's up powders to see if they really are identical.